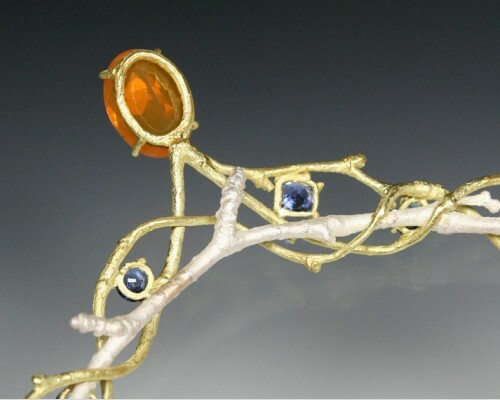 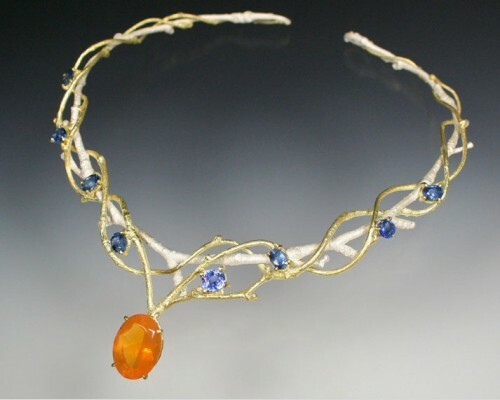 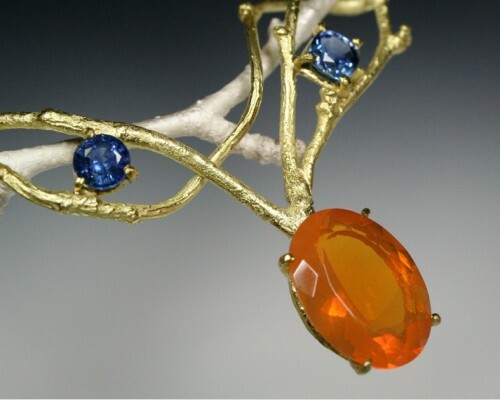 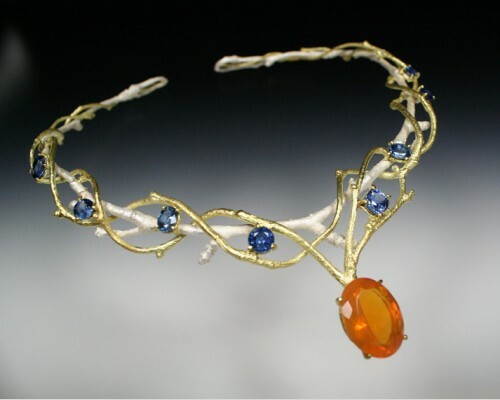 Extraordinary twig neckpiece in 18K gold and sterling silver with intense orange fire opal from Mexico and brilliant ceylon sapphires. 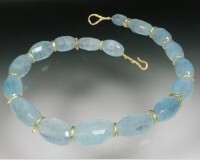 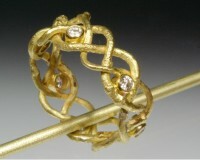 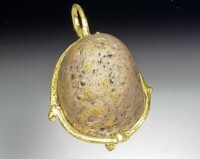 Gold weaving is dimensional and swirls around silver core. 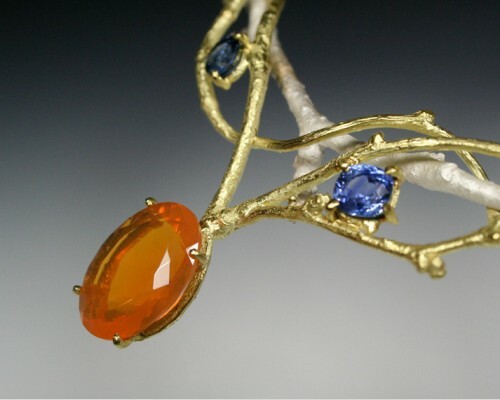 11.25cts of sapphires.